Vueling is bolstering its destinations from Cardiff Airport this summer with the addition of two new destinations, Alicante and Palma (Mallorca). The new scheduled services will commence from 22 June and will be operated by 150-seat Airbus A319 aircraft three times weekly on Tuesdays, Thursdays and Sundays. Last October the airline announced a Cardiff – Barcelona service from March, marking the first direct Vueling service from the UK to the airline’s home base. With Barcelona services will also be Tuesdays, Fridays and Sundays to accommodate the increasing interest in the cruise market from Barcelona. 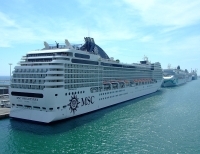 Most cruises set sail on a Saturday so these flights will enable passengers to arrive at a convenient time in order to join their chosen cruise and spend a final night in Barcelona before returning home. On 23 June Southampton – Barcelona will also come on line, linking Europe’s two premier cruise ports. Next Saturday (21 January) ANA, Japan’s largest airline and the launch customer for the Boeing 787 Dreamliner, will introduce the aircraft to Europe with a non-stop 12-hour flight from Tokyo Haneda to Frankfurt. The success of the Dreamliner, which entered service with ANA on two domestic routes on 1 November last year, is underlined by the very high number of seats being filled on the routes being flown by the aircraft. 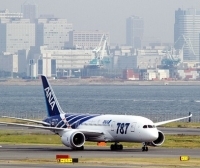 Load factors on ANA’s 787 routes to Okayama and Hiroshima have reached approximately 88%, compared to 72.2% for all ANA services operating between Haneda and these two destinations and 67.7% over the same period a year earlier. The airline has 55 Dreamliner’s on order. BAA has published its December passenger traffic figures and with it the numbers for the whole year. On the positive side BAA’s airports served 108.5m passengers last year, an increase of 4.4%. December 2011 was Heathrow’s busiest December ever, 5.5m passengers passing through, giving a total for the 12 months of 69.4m surpassing the 67.9m set in 2007, the previous best ever. Record passenger numbers accompanied record efficiency levels with the average aircraft operating with 75.2% of its seats occupied. On a year to year basis every one of the six airports currently under BAA ownership (Edinburgh is up for sale) saw growth, with the exception of Stansted which, with a 18m passenger throughput, dropped 2.8% making it now only Britain’s fourth busiest gateway after Manchester. Edinburgh, up for sale, saw record traffic of 9.4m in 2011 beating the previous record set in 2009 (9m). After a six-month practical trial involving biosynthetic fuel, Lufthansa says that the results are positive. In all, 1,187 biofuel flights were operated between Hamburg and Frankfurt. According to initial calculations, CO2 emissions were reduced by 1,471 tonnes. "Our burnFAIR project went off smoothly and to our fullest satisfaction. As expected, biofuel proved its worth in daily flight operations," confirmed Joachim Buse, Vice President Aviation Biofuel at Lufthansa, highlighted last week by a Boeing 747-400, carrying about 40 tonnes of a biosynthetic fuel mix, operating Frankfurt to Washington. With this flight alone, Lufthansa reduced CO2 emissions by 38 tonnes, equivalent to the CO2 emissions of six scheduled flights between Frankfurt and Berlin. The principle behind biofuel is simple and is based on the carbon cycle. Plants withdraw CO2 from the atmosphere through photosynthesis. When aircraft engines burn biofuel, this CO2 is released back into the atmosphere. Biofuel emits about 50% less CO2 than conventional fossil fuels. Britain’s annual National Ferry Fortnight has been moved slightly earlier than the traditional May slot (now 17-31 March) to emphasise the great value of family ferry travel at a time when parents have a watchful eye on budgets. 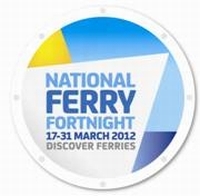 Industry body, the Passenger Shipping Association (PSA), has also revealed a new National Ferry Fortnight official logo that will front the campaign. With SeaFrance ‘sinking’ last week (see below) the timing of the announcement was unfortunate. The two-week showcase is designed to heighten consumer and media awareness of Britain’s extensive ferry services of over 50 routes. Some 35m people, 8m cars and 140,000 coaches were carried by ferries in 2011. The possibility of Scotland leaving the United Kingdom could set up some interesting tax situations, in particular with regard to APD (Air Passenger Duty). The subject was raised last week with First Minister Alex Salmond suggesting a referendum in 2014 and British Prime Minister David Cameron hinting at 2013. At present all parts of the UK pay the same APD with the exception of North Atlantic services from Belfast where the attraction of cheaper tax fees at Dublin has caused the Treasury to back down with much cheaper taxes. Should Edinburgh introduce lesser rates than England, Newcastle might well ask for a reduction too, passengers attracted to go north to Glasgow for Emirates flights to, say, Sydney. And if Newcastle why not Manchester too. Birmingham would then be sure to apply. The Business Travel Show at Earls Court (7-8 February) will again be joined by its IT partner, now renamed Travel Technology Europe. It is on track to grow by at least 30%, with 2012 exhibitor numbers already exceeding those of 2011 and visitor registrations ahead of this time last year. To date, 60 exhibiting companies specialising in a wide range of travel technologies, from booking and reservation systems, network infrastructure and hardware, to mobile, social and web design, are signed up. The educational programme features global brands at the Travolution Theatre, TTE Travelport Live Theatre and new for 2012, the Business Travel Technology Theatre. With content powered by the editorial team of Travolution, the presentations focus on the challenges facing the industry today with sessions designed specifically to help delegates drive their business forward and harness the power of travel technology systems. Highlights include two Travolution Question Time sessions – ‘The Threat of Google Flight Search’ and ‘How to Find Growth in a Flat Market’. Emirates launched its new daily Dublin route last week. It competes with Etihad, currently operating a 10 times a week service between its home base of Abu Dhabi – just an hour's drive from Dubai – and Dublin. 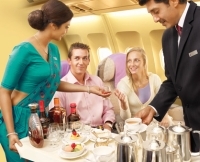 Both airlines operate Airbus A330 aircraft, but Emirates is the only carrier offering First Class. Flight time is around 7hrs 30mins. The carriers are emphasising connections to Australasia, India and the Far East. This is the third new route to be added to Emirates route network in the opening days of 2012. 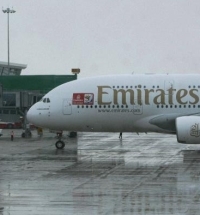 After the launch of Rio de Janeiro (Brazil) and Buenos Aires (Argentina) on 3 January, the Irish capital took its position as Emirates 118th destination from Dubai. Ireland has a population of around 4.5m. Around 5,000 Irish nationals live in the UAE and approximately 80,000 in Australia, which is a key market. 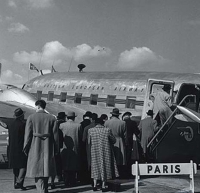 More than 70 passengers on the 237-seat inaugural flight came from bookings in Australia. Air Asia X is to pull out of Gatwick at the end of March. Higher fuel prices, increased APD (Air Passenger Duty) and European emission costs have been put down as the reasons but poor established marketing might have played a role in the route’s demise. 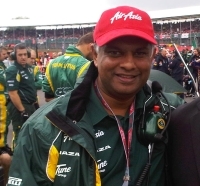 It is a setback for Tony Fernandes whose Air Asia has up to date only seen growth. He is now also the owner of Queens Park Rangers soccer team, which is in the Premier League relegation zone. It is the forth failure in recent times of an ex-UK specialist long haul airline. Air Asia X is also dropping Paris, Delhi and Mumbai. On the plus side, Gatwick says it has had a very positive 12 months with passenger numbers up 7.3% to 33.6m, whilst short of the record 2007 figure of 35.2m, still is extremely good and going in the right direction. The airport achieved record average load factors of 76.4%, up 2.9 percentage points on the previous year. 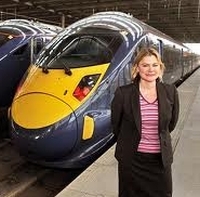 Britain will have a national high-speed rail network providing vital new capacity and faster journeys across the country from 2026, Transport Secretary Justine Greening has announced. Called HS2 (High Speed Two) it will be a Y-shaped operation with stations in London, Birmingham, Leeds, Manchester, Sheffield and the East Midlands linked by high-speed trains conveying up to 26,000 people each hour at speeds of up to 250mph. These ‘super trains’ will also connect with the existing West Coast and East Coast main lines to serve passengers beyond the HS2 network in Edinburgh, Glasgow, Newcastle, Durham, York, Darlington, Liverpool, Preston, Wigan and Lancaster. 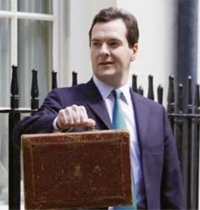 HS2 will be built in two phases. The first will see construction of a new 140-mile line between London and Birmingham by 2026. The second phase will see lines built from Birmingham to Leeds and Manchester by 2033. A formal consultation on second phase routes will begin in early 2014 with a final route chosen by the end of 2014. 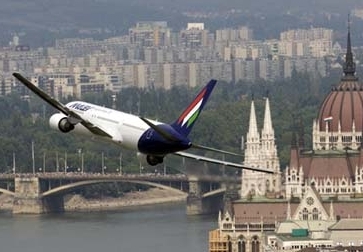 Hungarian airline Malev may become the first airline casualty of the European economic crisis. The national carrier, now state-controlled, is waiting the result of a cabinet meeting later today (16 January) to know if it has a future, certainly in its present set-up. What is clearly obvious it that the ratings agency crisis, announced last Friday, will turn ministers’ attention to even more vital country interests. Malev is a member of oneworld. Question marks must hang over other central European carriers including Air Baltic, CSA Czech Airlines and LOT Polish Airlines which have been kept afloat by their respective governments. SeaFrance, the French cross Channel operator has finally folded after not operating for nearly two months. 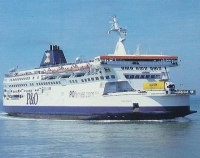 This gives P&O a monopoly on the Dover – Calais route although DFDS Seaways offers an alternative via Dunkirk. The operation is a ‘hot potato’ in France with nearly 1,000 jobs lost at what is effectively a state-run operation and French Presidential elections due in four months’ time. SeaFrance has not been helped by a staffing attitude that has meant regular strikes and a loss of confidence by the travelling public. P&O now reigns supreme on a route that has seen much change (and many operators) over the last 50 years including hovercraft and the emergence of the Channel tunnel. Following the introduction of services to Shanghai, Guangzhou, Kochi and Moscow last year SriLankan Airlines has recommenced twice weekly flights to Zurich. The Swiss financial capital was served by Sri Lanka's national carrier for a quarter of a century from 1980, but flights were suspended in 2005 during a global slump in air travel. Under the enthusiastic Chairmanship of Nishantha Wickremasinghe the airline is looking in a positive mood towards the future and further new destinations can be expected. SriLankan currently serves 61 destinations in 34 countries. It is the only airline on the Heathrow – Colombo route. The civil war in Sri Lanka is now history and the country, once one of the world’s great tourist havens, is again aggressively tackling the leisure market. Air France-KLM Group has finalized an order for 25 Boeing 787-9 Dreamliners, plus options, first announced last October. As of today (16 January 2012) the Chicago-headquartered company has mustered 860 firm bookings for the 787 and delivered three. "By making the 787 a key part of its fleet renewal, Air France-KLM strengthens its position as a worldwide leader," said Jim Albaugh, President and CEO of Boeing Commercial Airplanes. "Reaction to the Dreamliner's entry into service has been phenomenal and we look forward to seeing passengers of Air France-KLM fly on this revolutionary airplane." Based in Abu Dhabi Etihad Airways, the national airline of the United Arab Emirates, carried a record 8.29m passengers in 2011, a 17% increase on the previous year. “This result, achieved while much of the world was still very much in the economic doldrums and oil prices remained high, is testament to our emergence as a formidable force in the international aviation arena,” noted the airline's President and Chief Executive Officer, James Hogan. Etihad Airways busiest route was Bangkok with the airline carrying just over 500,000k passengers to and from the Thai capital during the year in spite of various problems in the city. This was closely followed by London at 479k. The airline carried 269k between Abu Dhabi and Sydney, 237k on the Frankfurt route, 228k Paris, 222k Manchester and 214k Dublin. 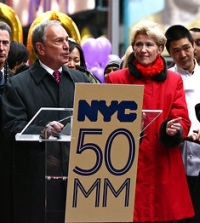 Never a city to do things by half, New York just before Christmas celebrated its 50 millionth visitor with Mayor Bloomberg doing the honours in Times Square. Keen readers will note that your Editor happened to be in the city that never sleeps at that time. Responsible for marketing what was the very first capital of the United States NYC & Company have confirmed that the city attracted a record-breaking 10.1m international guests in 2011, a 4% rise over 2010. The United Kingdom, is the top market of origin for overseas visitors with more than one million holiday travellers – a 2% increase on 2010. New York City domestic visitors totalled 40.1m, a 2.9% increase over last year. In monetary terms this represents US$32bn in spending. The Jet Business, the world’s first corporate aviation showroom for business jet aircraft, has just opened at One Grosvenor Place, Belgravia, London. Ultra High Net Worth Individuals, government officials, royalty and influential corporate executives living in the capital or visiting from overseas can, by appointment only, plan their business jet sale or purchase with experts and analysts in complete privacy. 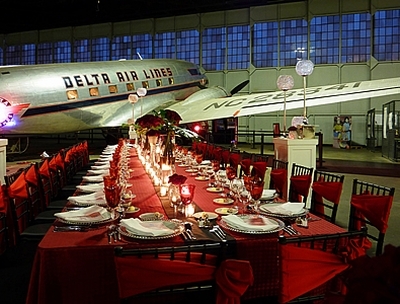 Centrepiece of The Jet Business showroom is a full size fuselage of a large corporate jet. Before entering it, clients are greeted with floor to ceiling screens running the length of the showroom. Beyond the showroom entrance and fuselage is a boardroom and a private meeting room. Following this is the trading floor environment for the sales team with individual desks modelled on the corporate jet cockpits of carbon fibre with the dashboards and seats upholstered in the same leathers as in Maseratis and Bentleys. Britain’s Civil Aviation Authority (CAA), a quasi government body, is the latest organisation of influence to state that the UK requires additional runway capacity in the south-east. In a report published last Tuesday (9 January) the chief aviation regulator has come down firmly for an increase. The airlines that make up the Lufthansa Group carried a record number of passengers in 2011. A total of 106.3m passengers chose to fly with Lufthansa, SWISS, Austrian Airlines, Germanwings and departing bmi. This is equivalent to growth of 7.5% compared with the previous year. 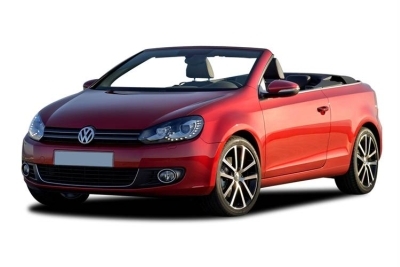 The Group increased its capacity by 9.8% overall in 2011, while its revenue seat kilometres rose by 7%. The average passenger load factor for the aircraft correspondingly fell by two percentage points to 77.2%. The trend of decreasing sales that emerged in autumn continued in the remaining months of the year. The carrier said in a statement that Group-wide it proved not possible to match the level of growth recorded at start of the year. In October the airline posted a 21% decline in net profits for the previous quarter. bmi is thought to be haemorrhaging money, hence the speed of the BA deal. Whether the company will make the full-year operating profit in the "upper end of the three-digit million-euro range" previously expected is likely to prove not obtainable. 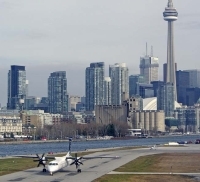 Porter Airlines remarkable growth at Toronto City Airport continues with the announcement of a three times daily service to Washington Dulles starting 16 April. It will be the Canadian carrier’s sixth US destination. Block time, that is the time from gate to gate, is just 90 minutes, about 10 minutes quicker than many of the scheduled offerings from Toronto’s Pearson International Airport. 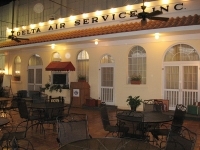 This is due to the fact that aircraft at the downtown airport have very quick runway accessibility, a great saving on time and fuel. Porter Airlines made its maiden flight in October 2006 and now operates 26 Bombardier Q400 aircraft. 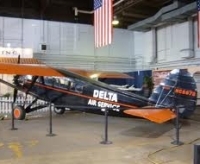 With Washington it will serve 19 airports in Canada and the United States from the airport, which sits on an island in Lake Ontario, and is connected to the mainland by a ferry. It is then five minutes from the city centre. 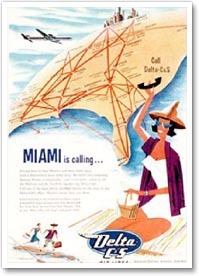 With the new service the airline points out that it is keen to attract linking traffic both north and southbound.